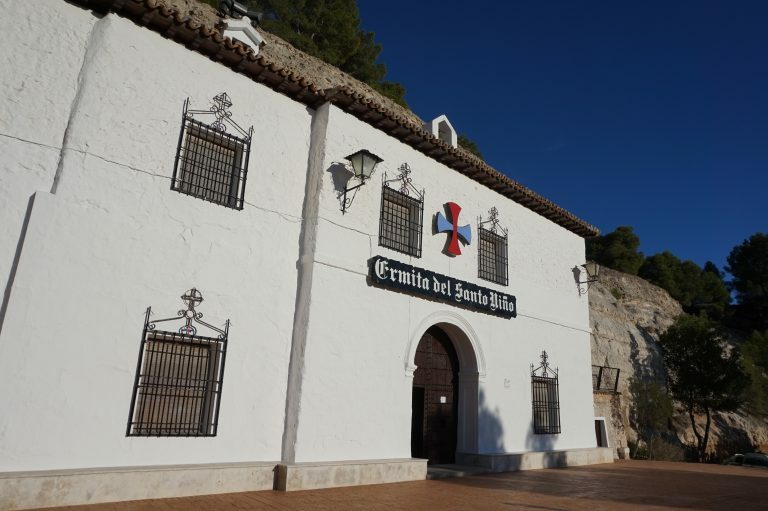 Chiara Franceschini and Cloe Cavero will participate in the upcoming VI Seminario de Arte y Cultura en la Corte, which will take place in Madrid at the Casa de México, El Escorial and the Universidad Autónoma de Madrid. 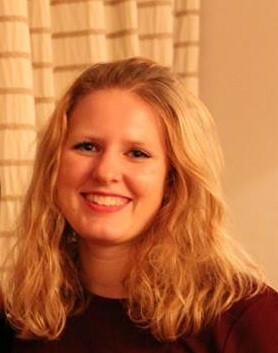 Cloe Cavero spent a month at Harvard University as visiting researcher. 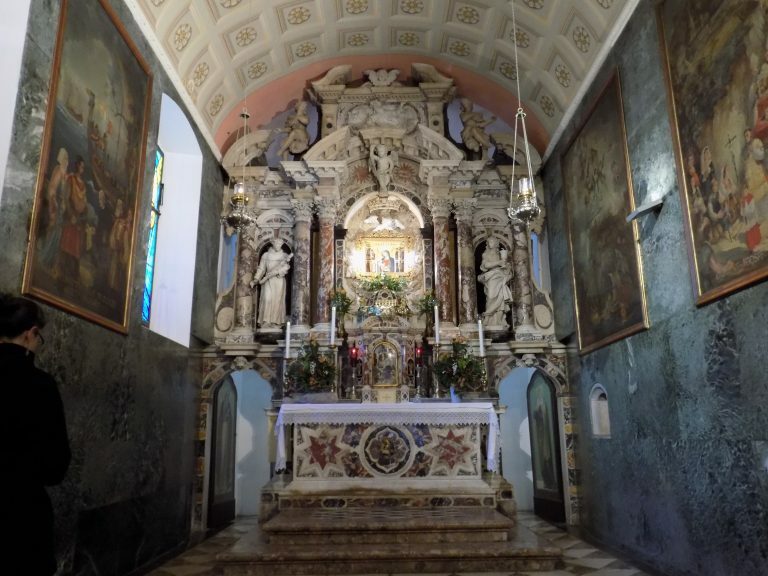 Between February 11-20, Erin Giffin visited the libraries of Zagreb and travelled down the coast from Trsat to Primosten to visit and compare Adriatic replicas of the Santa Casa di Loreto. 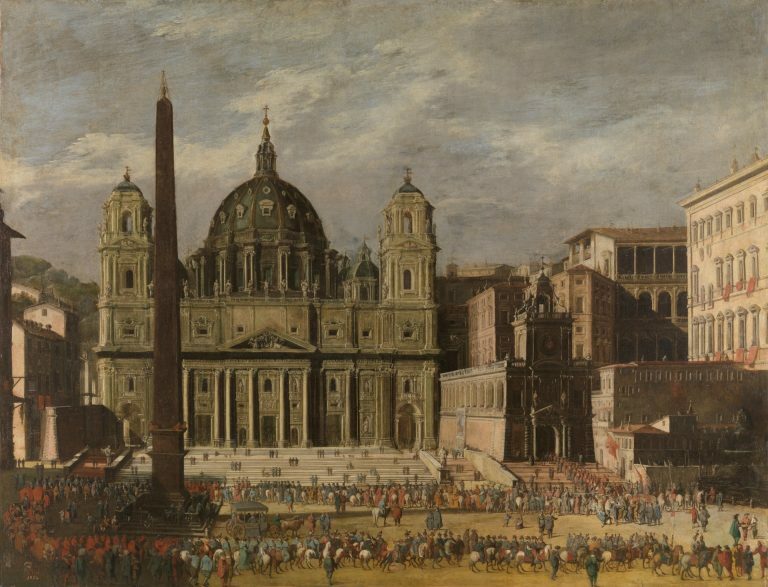 Chiara Franceschini participated in this International Workshop with a paper entitled “‘Ad alcuni è piaciuto, ad altri non punto’: stime e giudizi di artisti nella Roma del Cinquecento”. 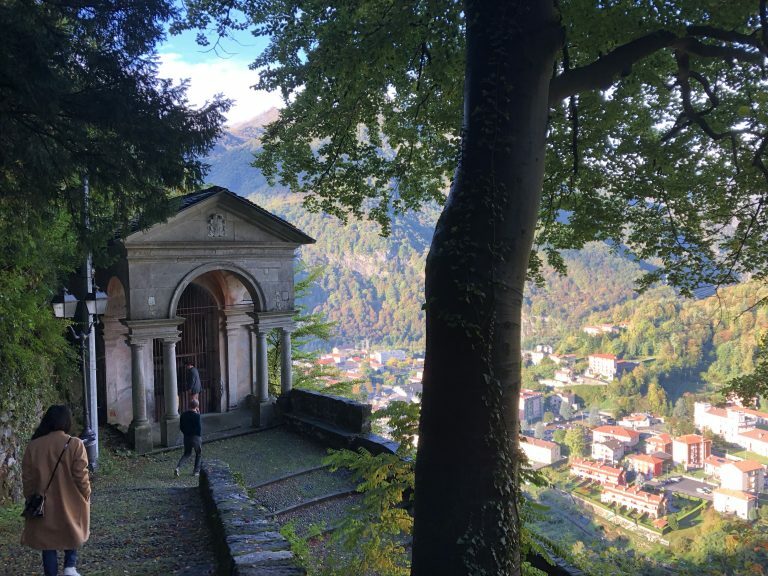 Over 11-12 October, 2018, Erin Giffin was invited to present her ongoing research at a joint PhD seminar organized by the Politecnico di Torino and ETH Zurich at the Sacro Monte di Varallo near Milan, Italy. 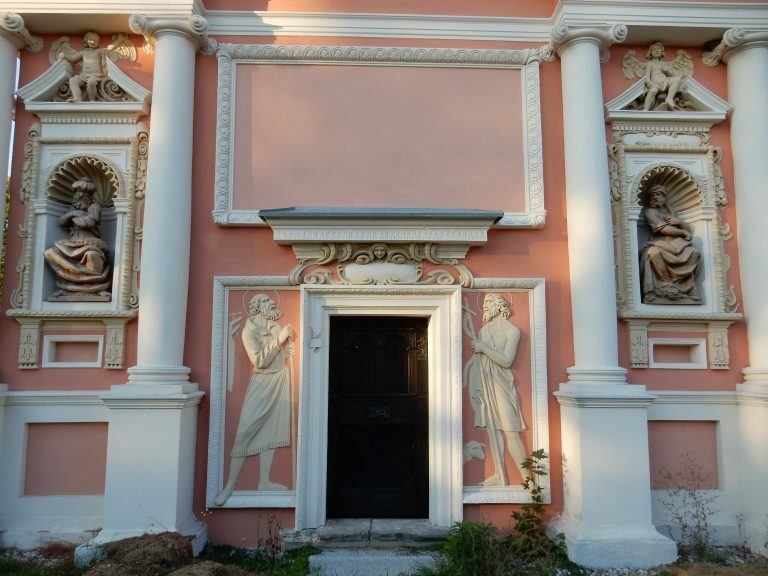 Between September 16-21, Erin Giffin travelled through Poland to visit and compare various replicas of the Santa Casa di Loreto. 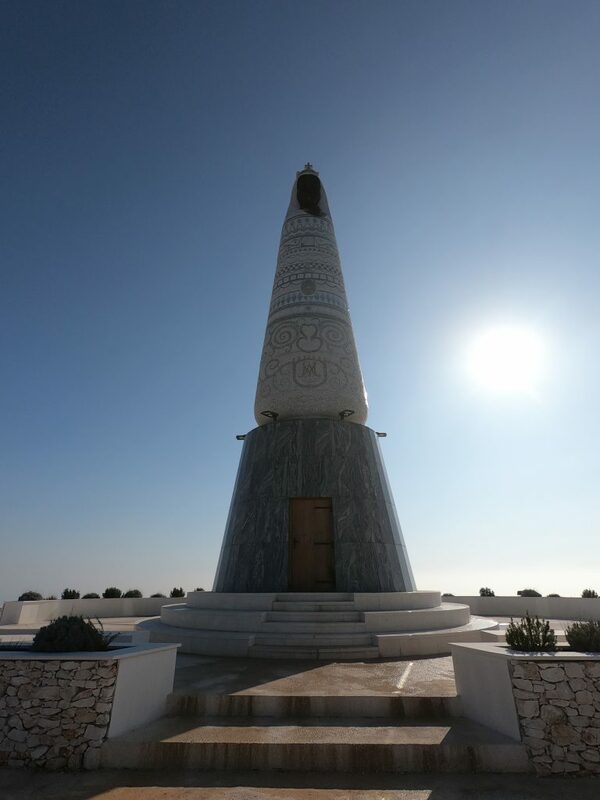 During the months of July and August, Cloe Cavero travelled to Spain to conduct archival research and fieldwork for her research project on child saints. 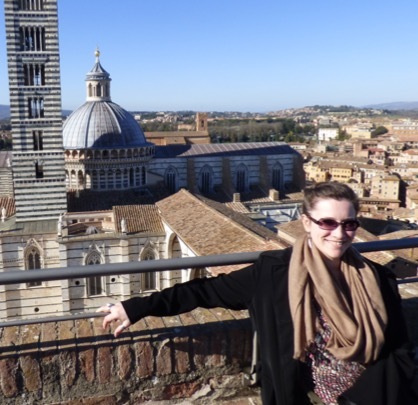 Nelleke de Vries joins the ERC project SACRIMA as a PhD student with a project on the migration and adaptation of iconographical inventions between Northern and Southern Europe in 1450-1550. 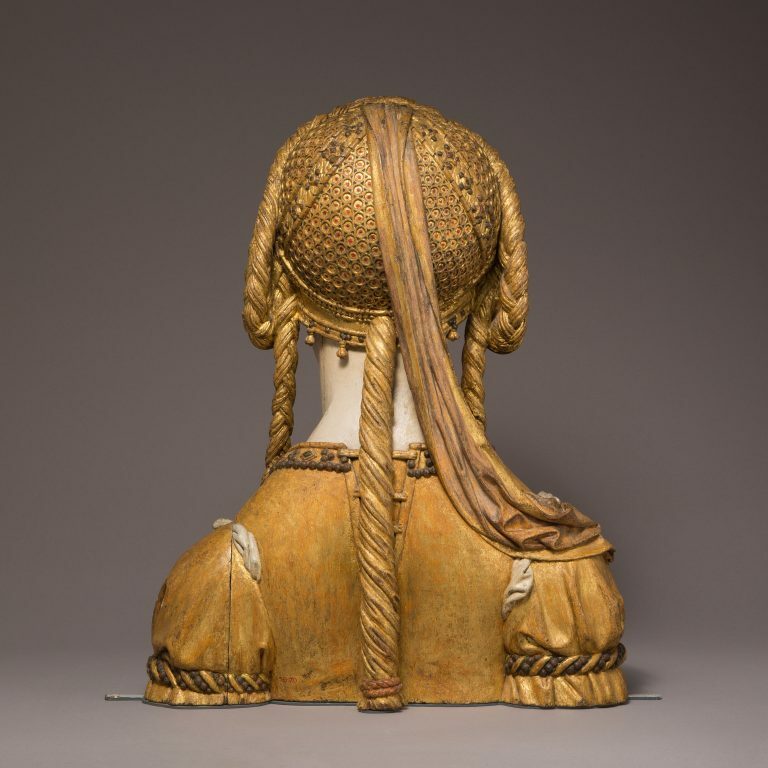 Erin Giffin will present her ongoing current research on Loretan devotion at the Sixth Feminist Art History Conference at American University. 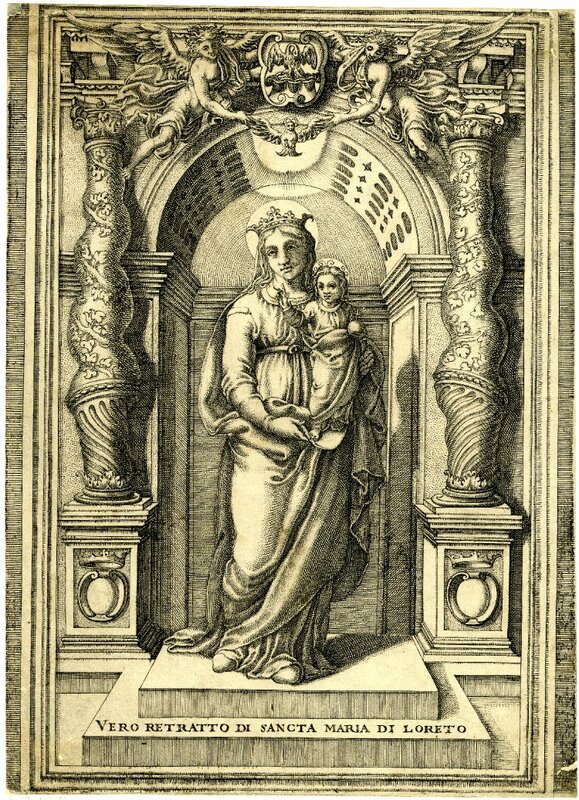 Her paper, entitled “Mater Ecclesia(e): Papal Symbolism and the Madonna of Loreto,” explores the evolution of iconographic traits of the Loretan Madonna across the early modern period. 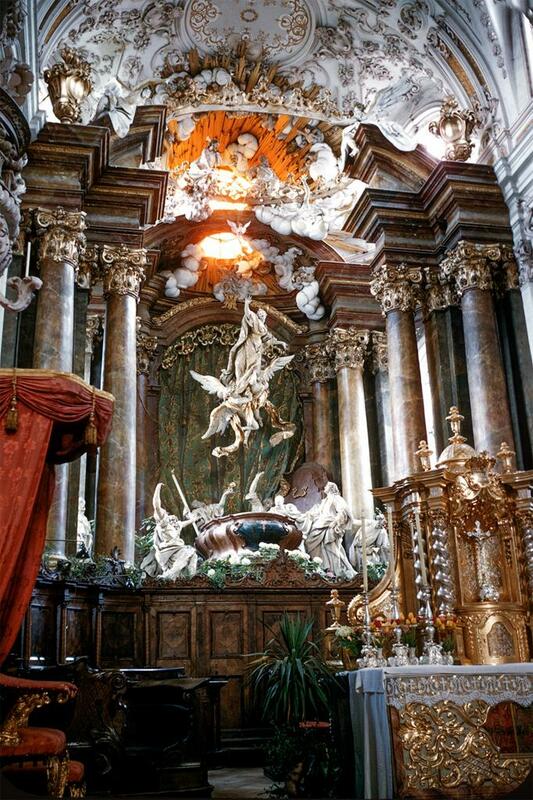 This September, Cloe Cavero participated in an International Symposium on saints and sanctity held in Rome, and organized by the Universidad Pablo de Olavide, the Universidad de Sevilla, the Università Roma Tre, and the Centro Studi Cultura e Immagine di Roma. Institut für Kunstgeschichte, LMU, Zentnerstr. 31, Room 4. Thursdays, 17.15-20. 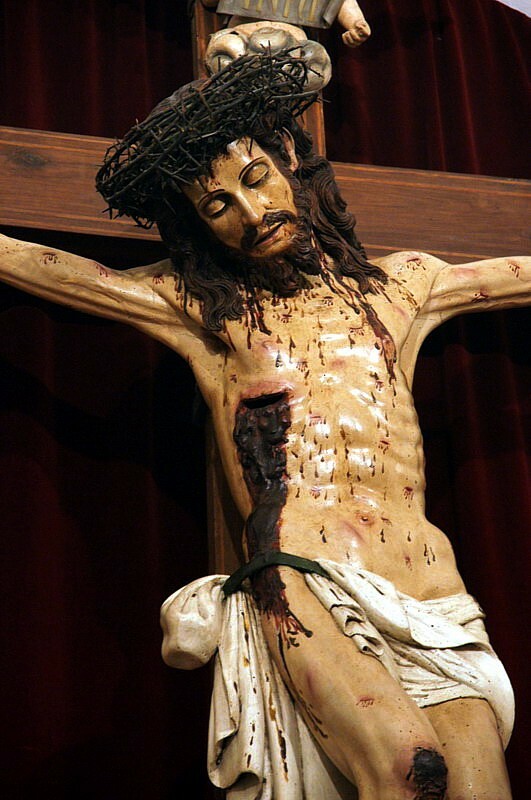 The SACRIMA team invites applicants to participate in a cross-cultural seminar at RSA in Toronto, CA (17-19 March, 2019). Sefy Hendler (Université de Tel Aviv), Florian Métral (Université Paris 1 Panthéon-Sorbonne) et Philippe Morel (Université Paris 1 Panthéon-Sorbonne). Chiara Franceschini participated in the first part of the International Colloquium La Renaissance des origines. 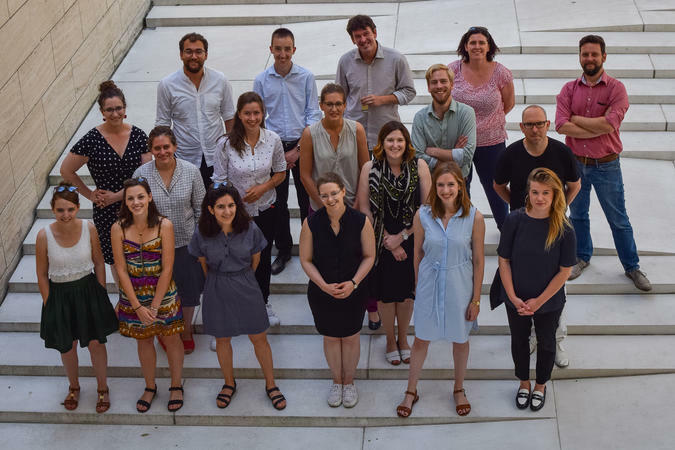 Commencement, genèse et création dans l’art des XVe et XVIe siècles, celebrated in Tel Aviv University (11-12 June) as part of the France-Israel Season 2018. 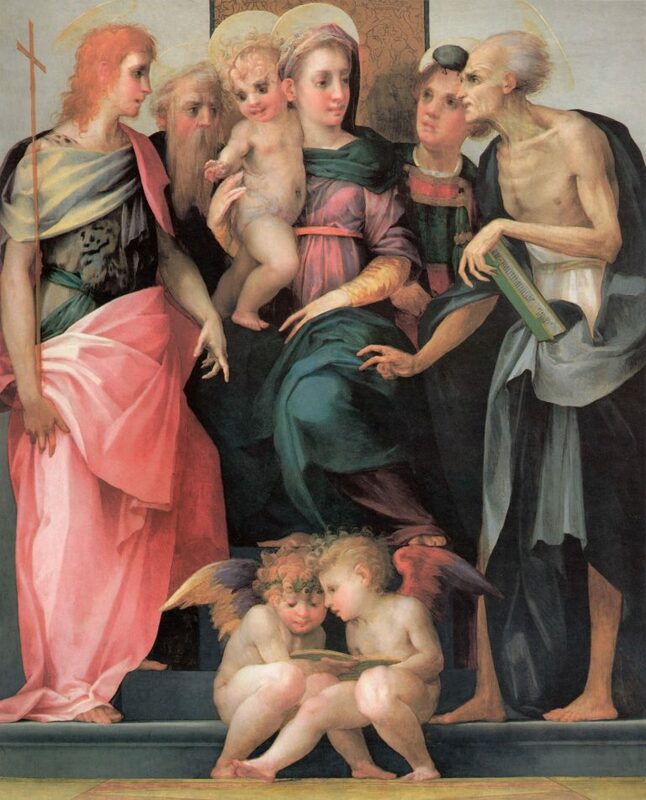 As a collaboration of the Bibliotheca Hertziana in Rome, SACRIMA, and the Kunsthistorisches Institut in Florence, this workshop presents a forum for scholars currently engaged in research projects that reckon with the historiographic challenges continuously shaping contemporary discourse regarding mannerism and artwork produced across the sixteenth century. 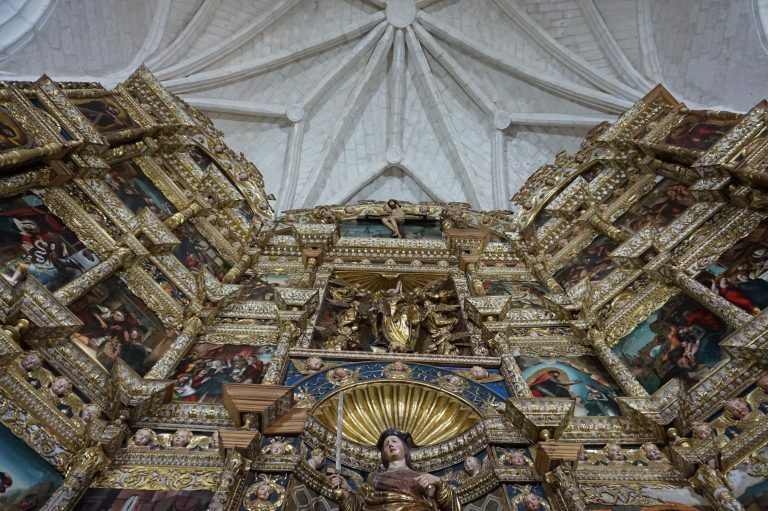 In the framework of her research on images and cults of child saints in early modern Europe, Cloe Cavero conducted fieldwork and archival research in the ecclesiastical collections of Toledo and Cuenca. 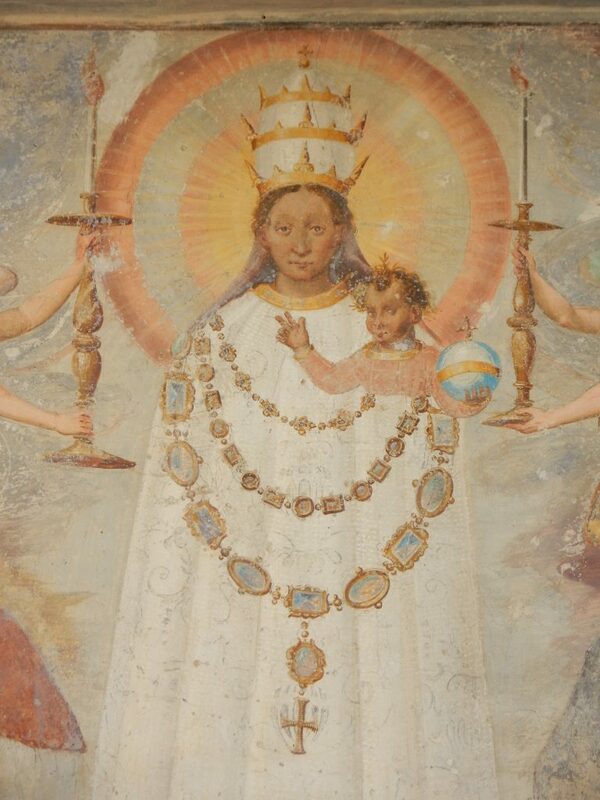 Chiara Franceschini presented a paper on the role of competing agencies in charge of image control in early modern Catholic countries in the framework of L’Inquisizione Romana e i suoi archivi. A vent’anni dall’apertura dell’ACDF, a conference celebrated in Rome on 15-17 May 2018. 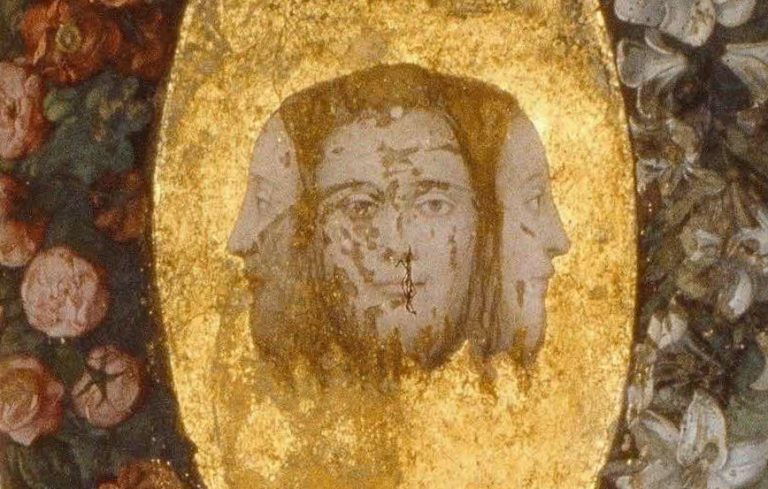 Erin Giffin will present her ongoing research regarding replicas of the Holy House of the Virgin in an upcoming Renaissance Postgraduate Symposium at the Courtauld Institute of Art in London. 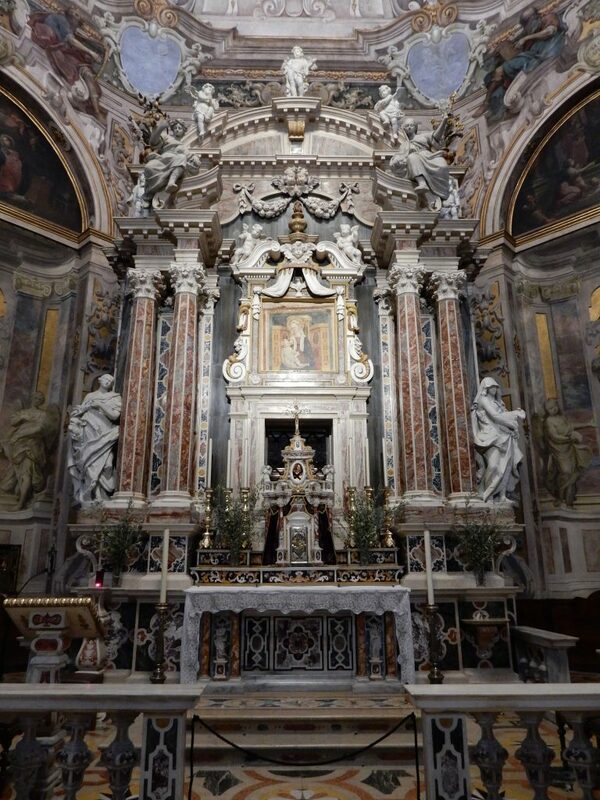 This spring, Erin Giffin conducted independent research of Santa Casa replicas in two- and three-dimensional format in multiple communities across Italy. 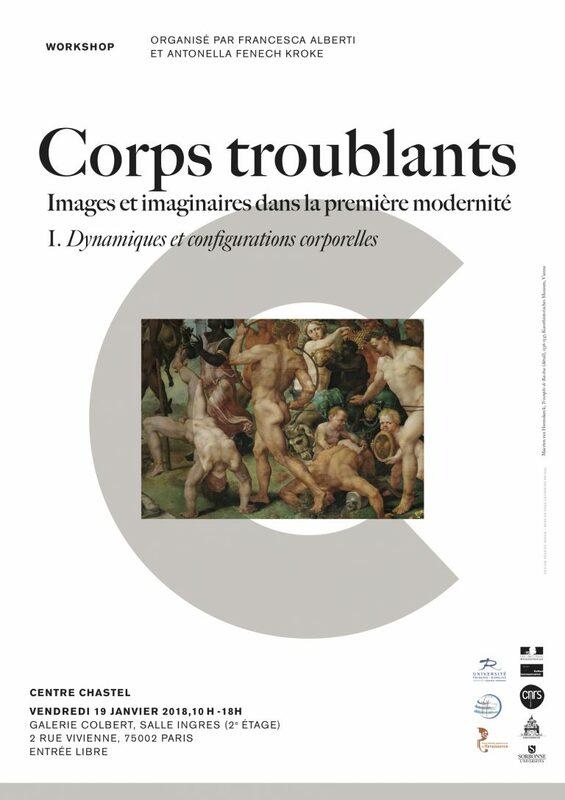 Chiara Franceschini was invited to present the project and talk about «La normativité des images sacrées à l’époque moderne» in conversation with Emanuele Coccia and Francesca Alberti at the Séminaire collectif d’histoire de l’art de la Renaissance, Paris, INHA, salle Vasari, jeudi 12 avril, 18.00. 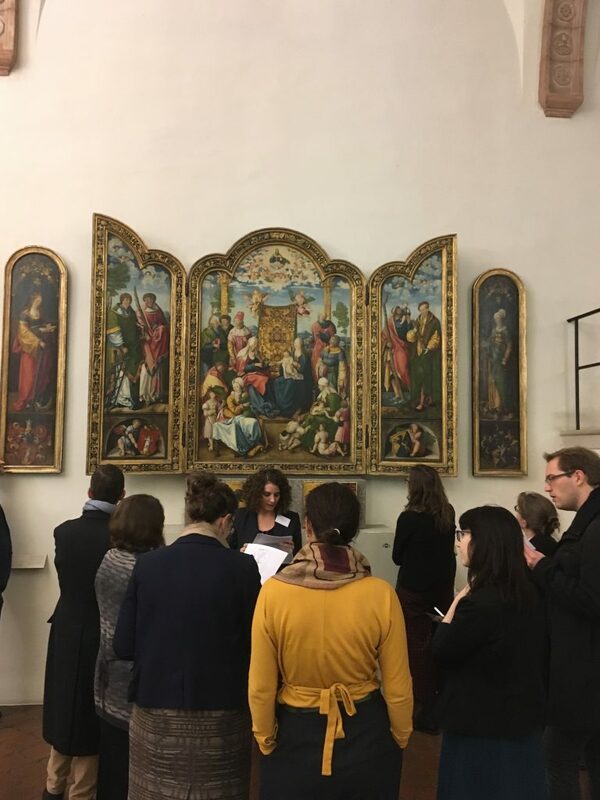 Cloe Cavero participated in the RSA 2018 with a paper dealing with the political resonance of the altarpiece of Saints Justus and Pastor in El Escorial. 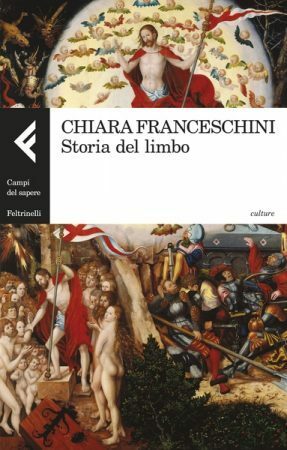 Chiara Franceschini presented her new book, Storia del Limbo (Feltrinelli, 2017) in the framework of the lecture series “Leggere il Medioevo: Autori, Incontri, Discussioni” at the Università di Verona. 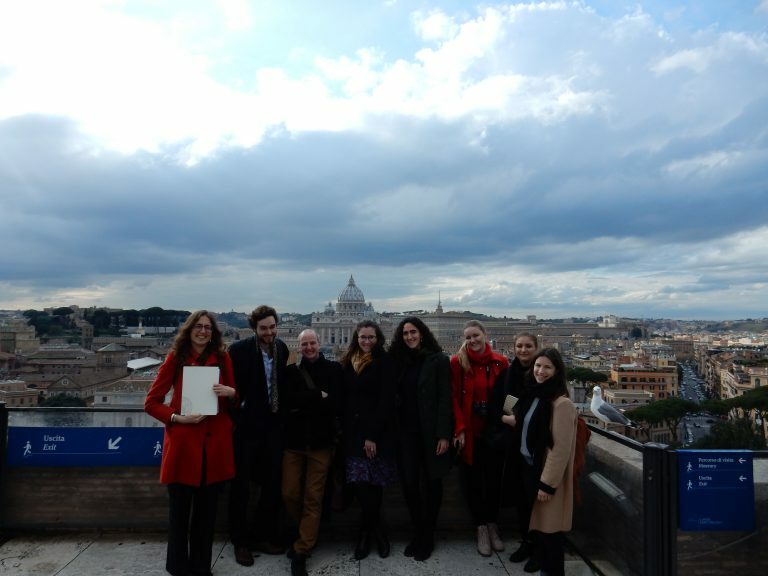 The itinerary started in the Sala Paolina of Castel Sant’Angelo, where Chiara Franceschini and our guest Tiffany Hunt, M.A., discussed with the group about this fundamental starting point for the study of the late Cinquecento art. Chiara Franceschini contributed to the first workshop of the cycle Corps troublants in Paris. 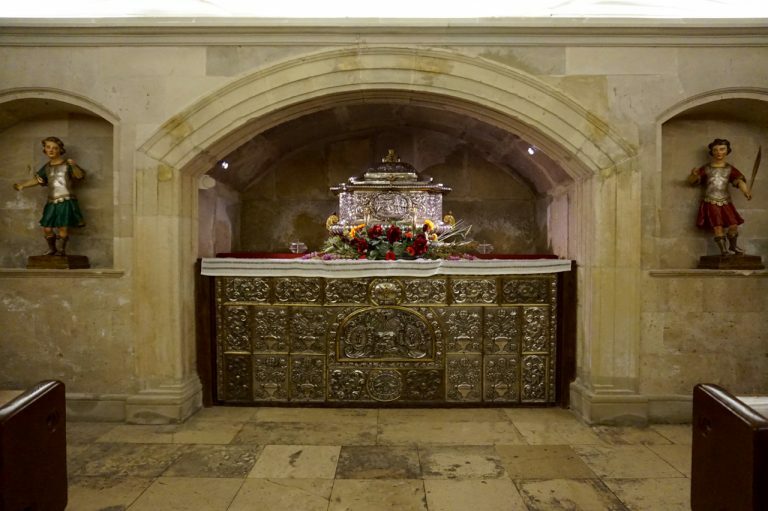 Cloe Cavero visited the crypt where the relics of the two young brothers Saints Justo and Pastor were translated with great magnificence in 1568. 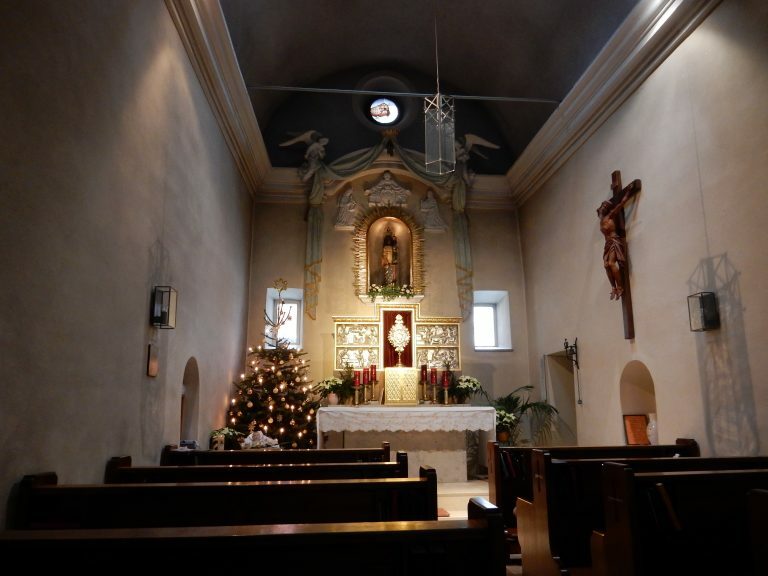 Over the month of December, Erin Giffin visited the Bavarian Holy Houses at Neusäß (in the outskirts of Augsburg), and Türkheim. Bayerisches Nationalmuseum, Prinzregentenstraße 3, München. 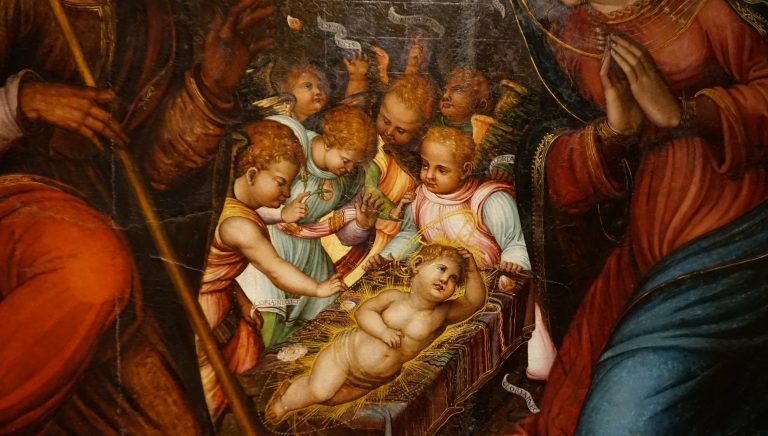 Starting from an investigation of the reinvention, the functions and the adaptations of the ‘normative image’ of the ancient putto in the Renaissance, this conference questioned the multiform transmigration, variation, adaptation and use of images of children in early modern Europe. Institut für Kunstgeschichte, LMU, Zentnerstr. 31, Room 510. Thursdays, 17-20. 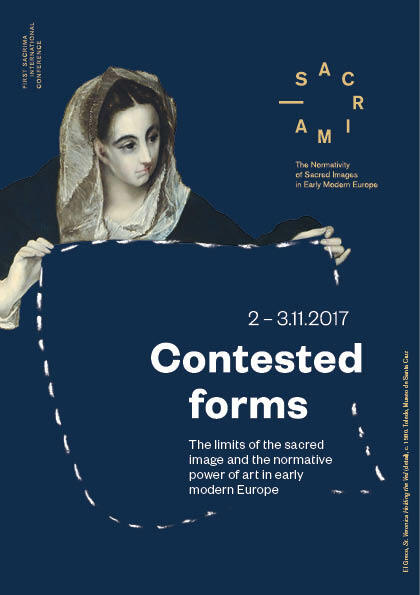 “Contested forms” was the first of a series of planned conferences and workshops organized by the Sacrima team over the duration of the five-year project. These events will open discussions with the larger scientific community regarding the main research questions of the project and/or provide closer analysis of associated sub-projects and case studies. 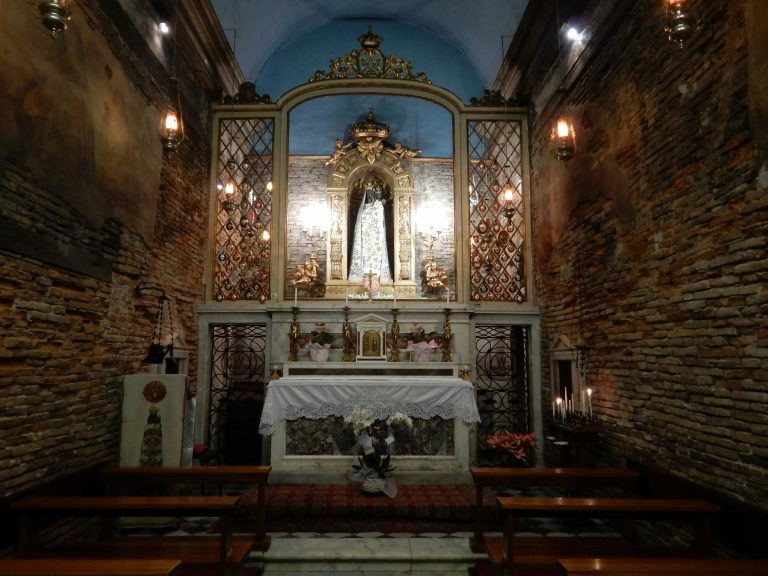 Dr. Erin Giffin, PhD University of Washington in Seattle (2017) joins the ERC project SACRIMA as Postdoctoral Research Associate with the project Devotional Translations: Early Modern Replicas of the Holy House of the Virgin. Lupo & Burtscher visit SACRIMA! The Studio Lupo & Burtscher travelled to Munich to discuss the visual communication strategy and website organization of the SACRIMA project. 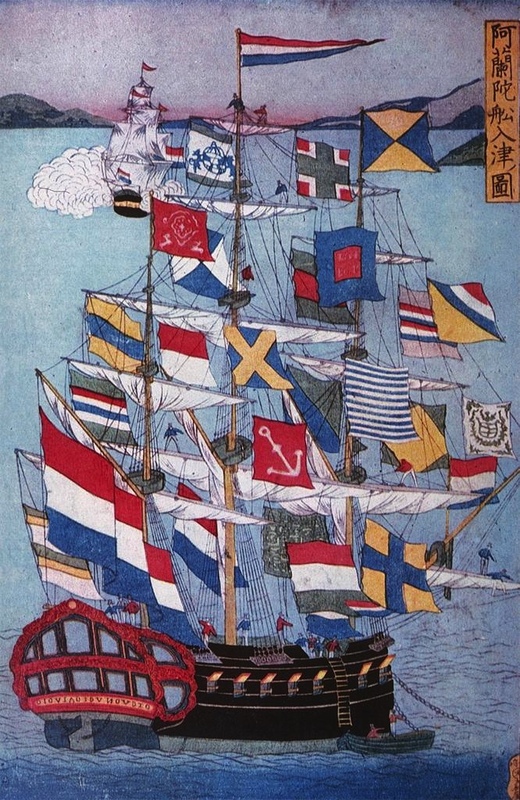 Veronika Winkler, M.A., is a PhD Candidate at Ludwig-Maximilians-Universität in Munich with the research project Success Stories in the New World. 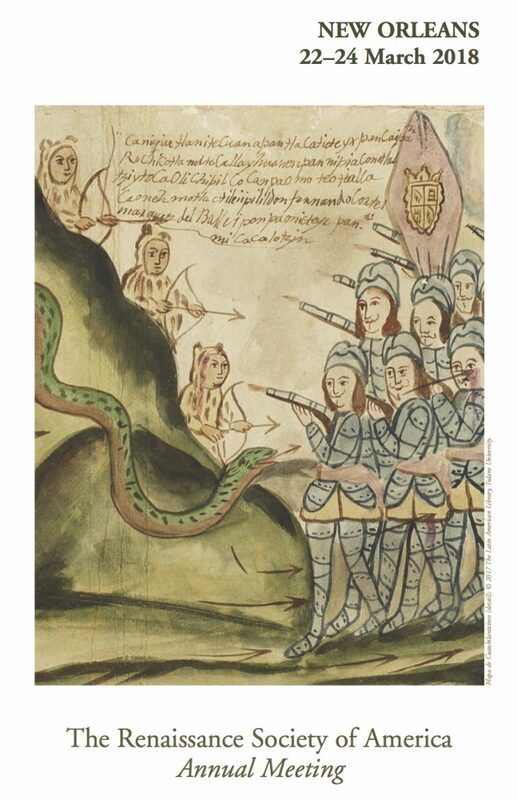 Transfer, translation and discourse in the mirror of hagiographical painting cycles in Viceroyal Peru (1600-1780). 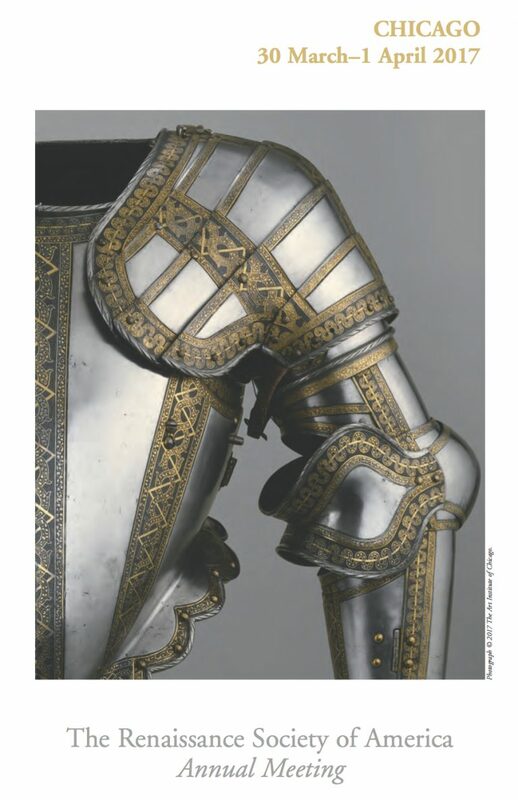 Flemish Art Collection and M-Museum Leuven. 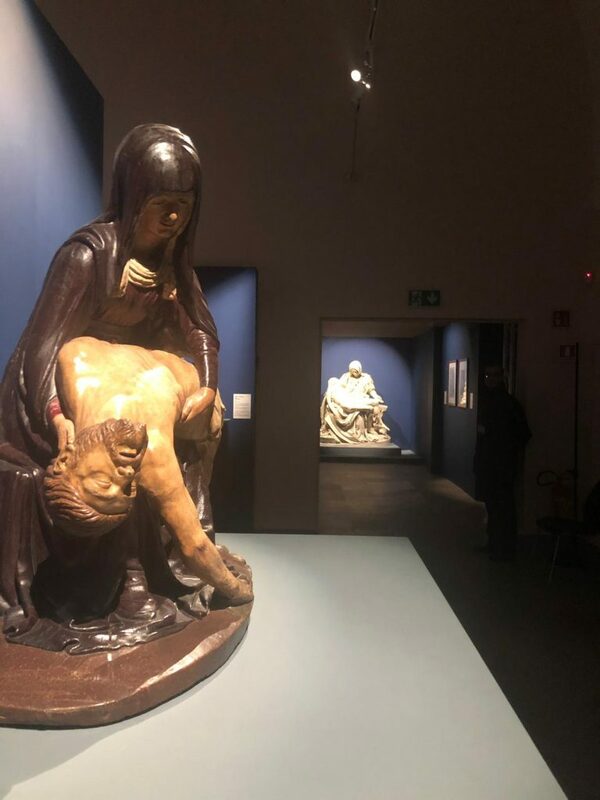 Erin Giffin participated in the Summer Course for the Study of the Arts in Flanders, eleven days devoted to medieval and renaissance sculpture! Klaus Krüger and Anne Eusterschulte. Biblioteca Hertziana – Max Planck-Institut for Kunstgeschichte in Rome. 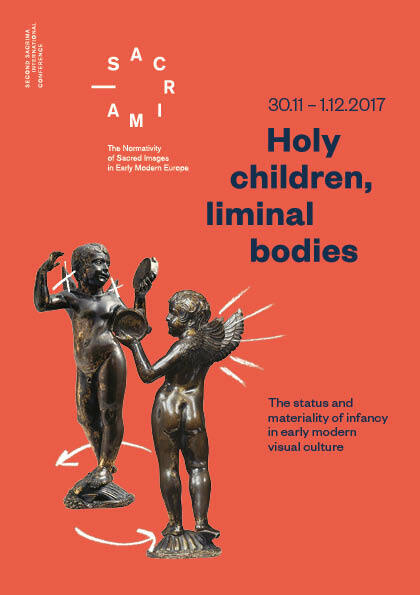 Chiara Franceschini participated in this interdisciplinary conference with the paper “Appearance of life (Schein-Leben), gradations of reality and liminal figures”. 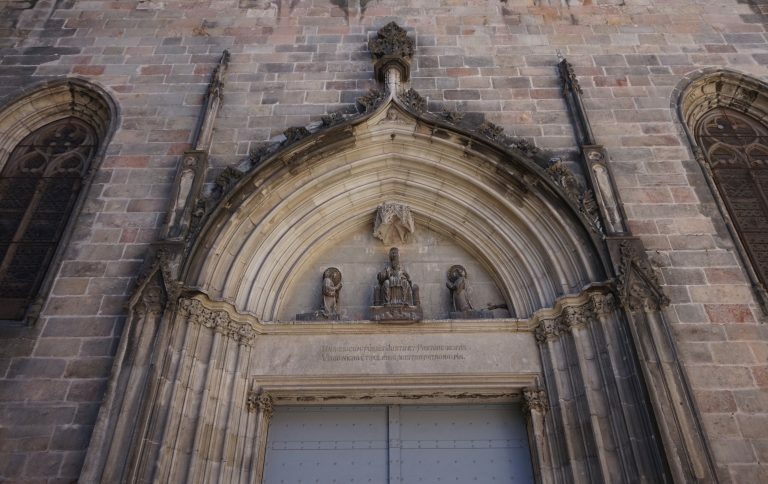 Cloe Cavero travelled to Madrid to attend a workshop on sacred images at the time of the Reformation. 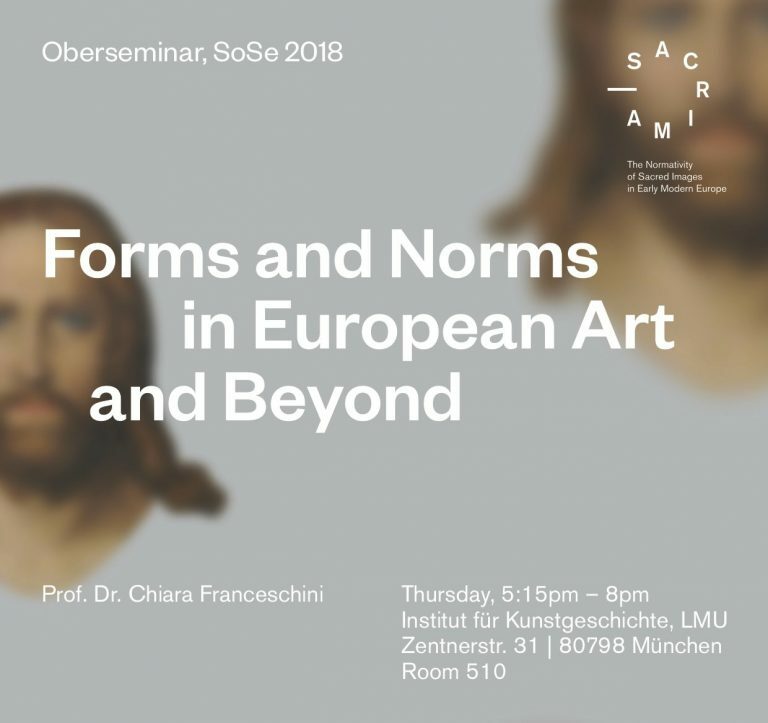 Chiara Franceschini and Cloe Cavero presented the SACRIMA Project to members of the Kunstwissenschaften Department at LMU. Institut für Kunstgeschichte, LMU, Zentnerstr. 31, Room 4. Thursdays, 17-20. 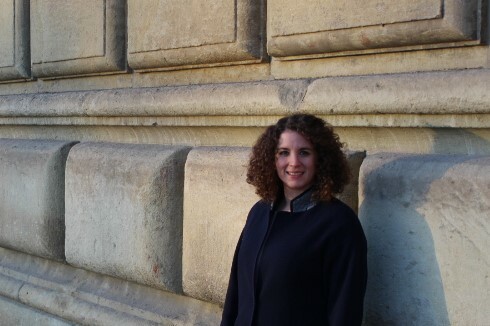 Dr. Cloe Cavero de Carondelet, PhD European University Institute in Florence (2016) joins the ERC project SACRIMA as Postdoctoral Research Associate with the project The Age of Sanctity: Images and Cults of Child Saints in Early Modern Europe and with special responsibility for the geographic area of Iberia. The SACRIMA members travel to Chicago! 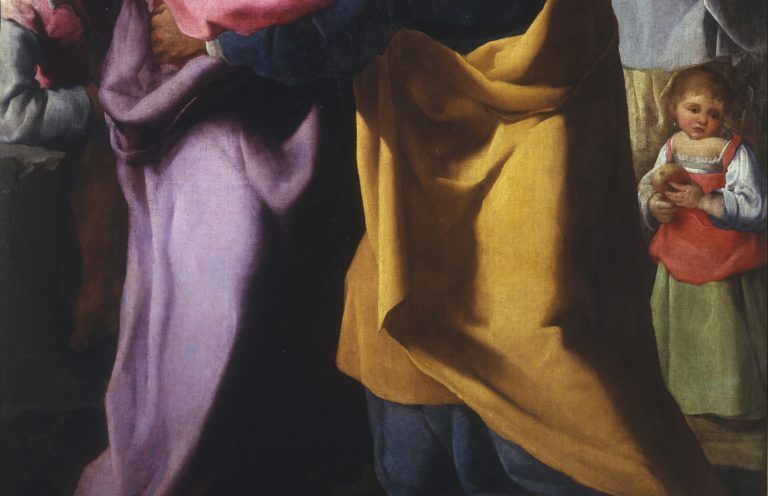 Rome, Accademia Nazionale di San Luca. Institut für Kunstgeschichte (LMU München), École Pratique des Hautes Études (Sorbonne) and Accademia Nazionale di San Luca. 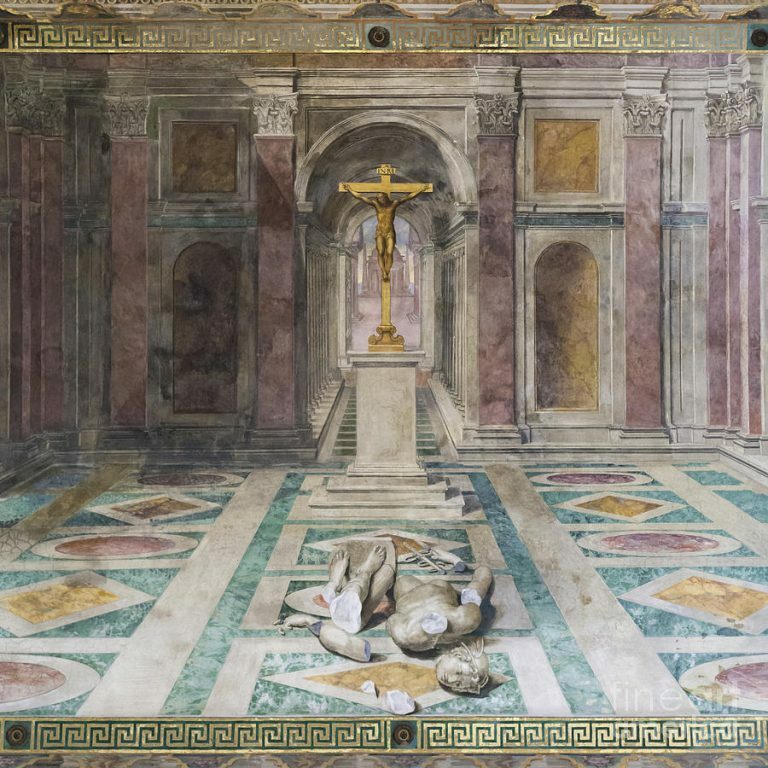 Chiara Franceschini presented “Ideal Forms and Ideal Seeing in Roman Chapels” at the International Conference Ideales Sehen und Ideale Sehen in der Renaissance/Ideal Forms and Ideal Seeing in the Renaissance, organized by Sabine Frommel and Ulrich Pfisterer in Rome. Chiara Franceschini presented the paper “Quandoque imagini adpinxit, quod non legitur in Evangelio. Notes on the autonomy of images in the EHI”, at the international workshop Genèse et postérité des Evangelicae Historiae Imagines (1593), organized by Ralph Dekoninck, Pierre Antoine Fabre et Patrick Goujon. 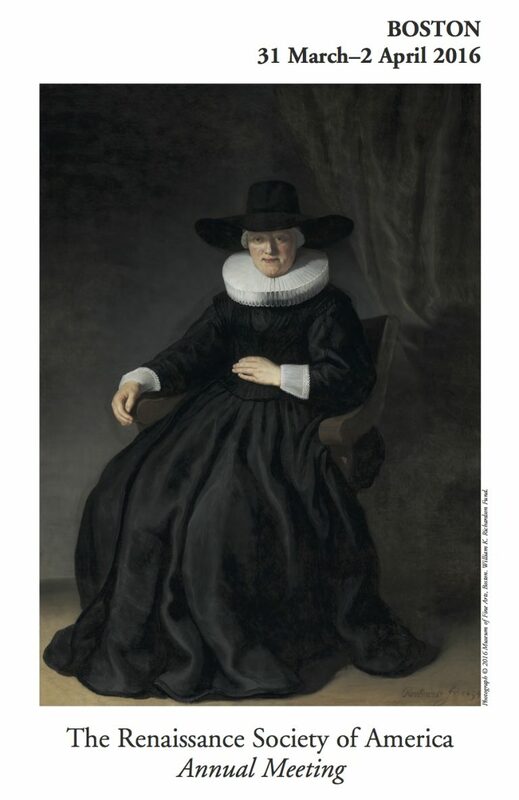 Applications are sought for up to two Research Associates (Wissenschaftlicher Mitarbeiter/in) for the new ERC funded project SACRIMA, The Normativity of Sacred Images in Early Modern Europe led by Professor Chiara Franceschini and based at the LMU Institute for Art History in Munich, Germany. Applications from other related disciplines are welcome. Chiara Franceschini presented the SACRIMA project at the Dipartimento di Filosofia e Beni Culturali of the University Ca’ Foscari of Venice. Chiara Franceschini followed the itinerary of Innocenzo da Petralia in Umbria and in Le Marche, visiting Gubbio, Cagli, San Lorenzo in Campo and Pesaro. 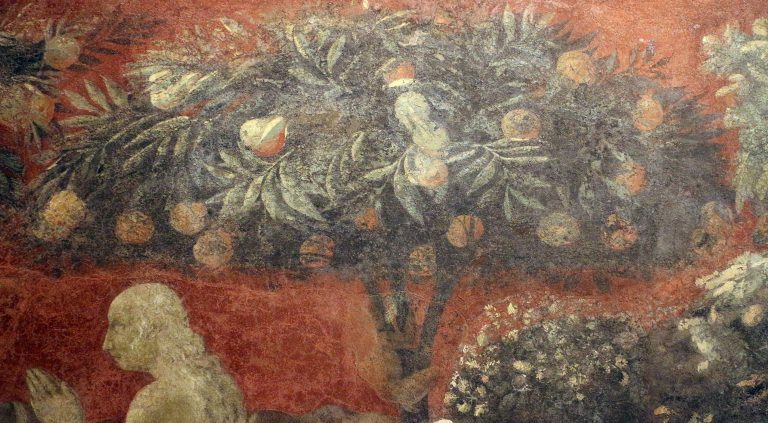 Chiara Franceschini delivered the paper “Lumeggiata da quel fuoco“, Fiamme, inferni e novità pittoriche nel (tardo) Rinascimento” at this conference, organized by Federica Favino and Maria Conforti at the Università di Roma La Sapienza. 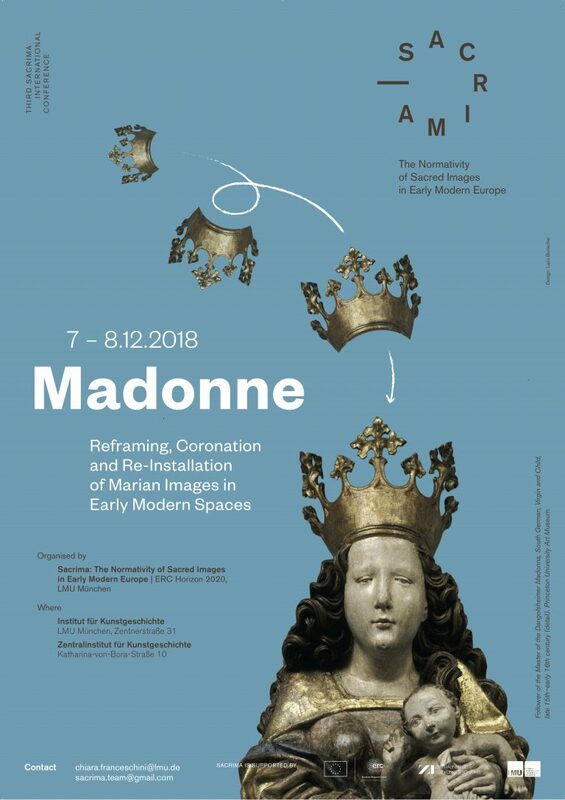 Prof. Dr. Chiara Franceschini joins the Institut for Kunstgeschichte of the Ludwig-Maximilians-Universität in Munich as Professor of Early Modern Art with the ERC Project SACRIMA / The Normativity of Sacred Images in Early Modern Europe. 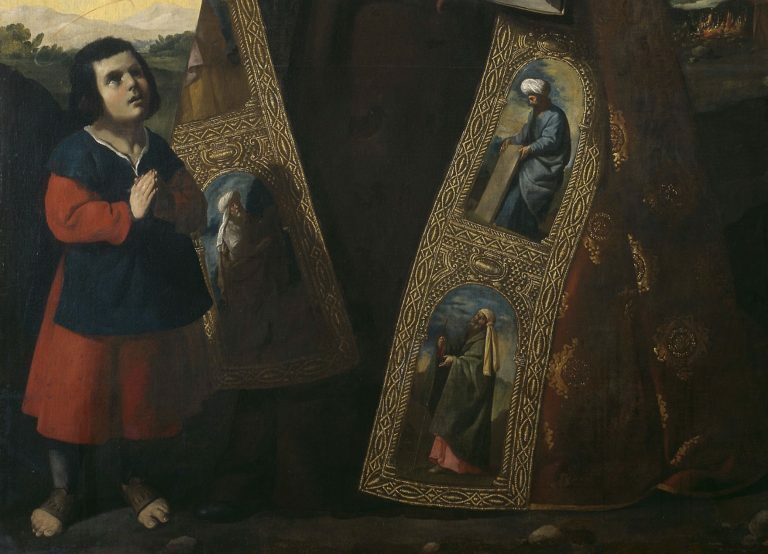 Chiara Franceschini organized the panel Image Normativity and Religion in Italy and Spain: New Perspectives at the RSA Boston, sponsored by the Italian Academy for Advanced Study in America, Columbia University.